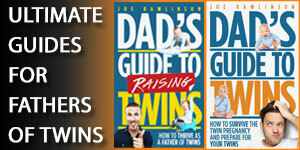 Hitting the road with your twins? 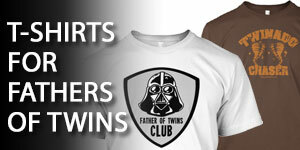 Whether you are flying with twins or taking an epic road trip, you’ll need a place for the twins to sleep at your destination. 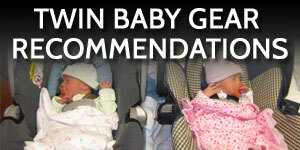 A travel crib for twins is a great option for sleeping your kids when you’re away from home. 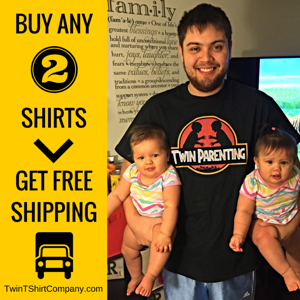 When your twins are very young, they are used to sleeping in their own cribs and room. However, when you are traveling with twins, you would be well served with a portable crib for twins. 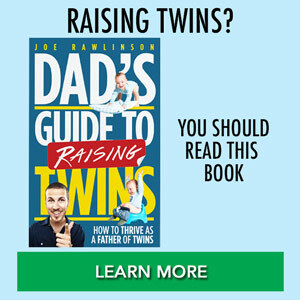 What is the best travel bed for twins? That depends on your twins’ age and how much space you have as you travel. Consider available space in your car or what you can check for a flight. Think about how much floor space you’ll have at your destination. If you have Grandma’s entire basement it will be much different than if you’re crammed into a small hotel room. As you think about getting a travel crib for twins, remember that the safe sleep recommendations still apply when you’re away from home. 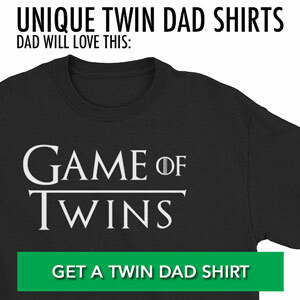 Each twin would ideally be in his or her own space for sleeping. 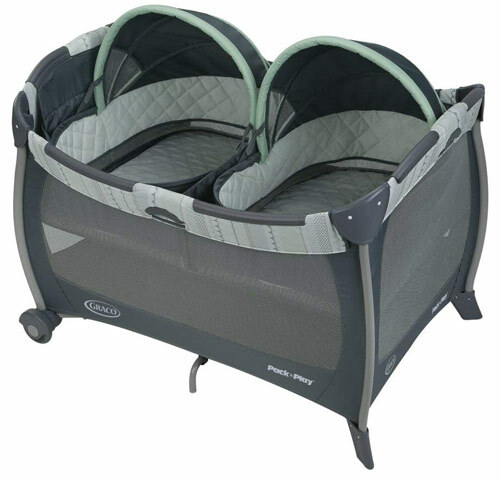 This offering from Graco is a typical pack-n-play topped with a pair of infant bassinets. The bassinets that sit on top are for when your babies are under 15 lbs. and not yet able to push up on hands and knees. 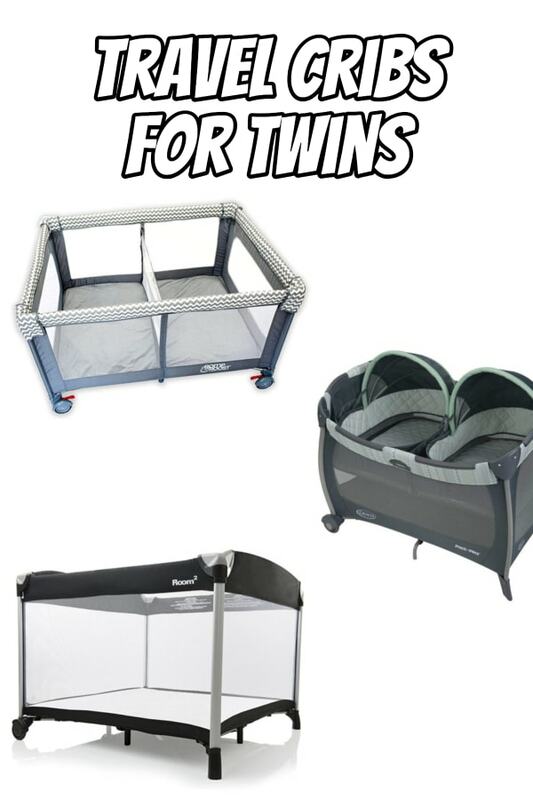 Once your twins outgrow the bassinets, you can put them in the playard until they are 30 lbs. or 35″ tall. The Joovy Room2 is nearly 50% larger than traditional playards with over 10 square feet of space (that’s about twice as wide as a typical pack-n-play). This extra room makes it perfect for your twins. However, there isn’t a separator or dedicated space for each twin unless you buy the additional JOOVY Room2 Twin Nursery Center add-on. 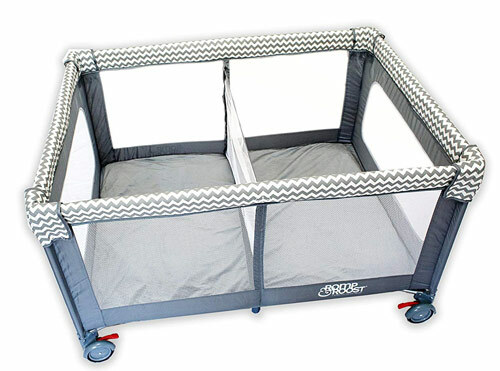 This Room2 playard works for your twins from birth up to 35″ tall. 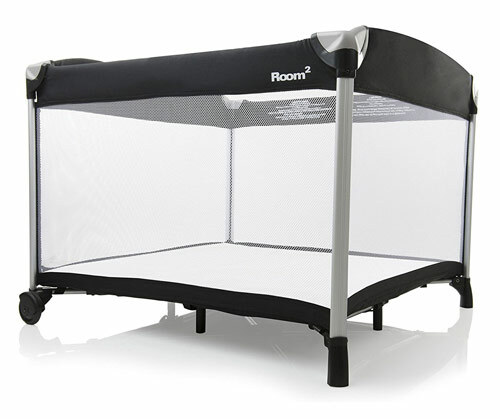 The Romp & Roost is a stylish, oversized playpen that easily fits both your twins. The playard’s removable divider separates the oversized area into two safe spaces (one for each child). This playard comes with large wheels and a carrying bag that makes it easy to travel. The walls are an airy mesh material that provides great ventilation. Taking a vacation with twins is always a memorable experience. The logistics of traveling with toddler twins, infants, and other ages can be overwhelming but with the right gear and plans, you’ll do great! 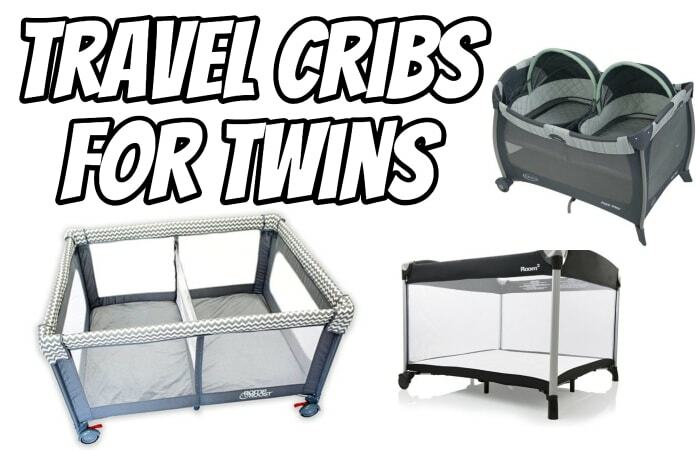 Which travel crib for twins do you use (or will you be getting) for your family?